At Advanced Eye Care, we make every effort to provide you with the finest care and the most convenient financial options. To accomplish this we work hand-in-hand with you to maximize your insurance benefits for exams/covered procedures. If you have any problems or questions, please ask our team members. They are well informed and up-to-date. Please bring your insurance card/information with you to your exam so that we can expedite your visit. 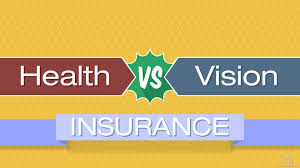 What is the difference between Health/Medical and Vision insurance? Click on the image below to learn more.